Ohaithere! Remember this bob I gave so much love late last year? Yes, the one Nikko from Lourd's High Chair Bottega de Barberia gave me? If you're from Biñan (Laguna), I've got good news! Nikko's just moved to the latest Creations Lourd Ramos Salon that's poshly tucked at the 3rd level of Southwoods Mall. They invited me last weekend to check it out and it's as chica as the other branches. They offer a full roster of services and touches left and right that's got the signature Creations swag. I like that they also have a private nook because let's face it, there are some days when we just want some serious and undivided me time. Clueless where to start? Try their highlights! Regardless of the branch, their stylists are trained to give your hair the latest and the greatest trends and TLC. 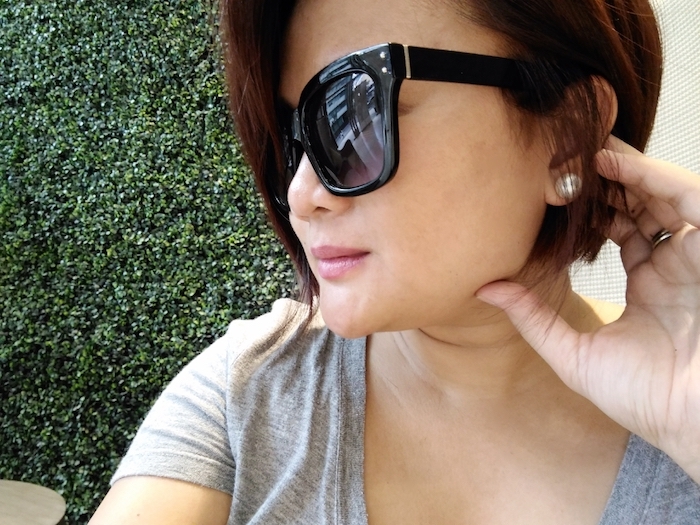 I just freshened up my tresses to have that K-pop vibe and bite at the salon's HQ, Lourd's High Chair Bottega de Barberia. This round's colour combination is 8.3 (base) and 10.01 (highlights). I also asked for more layers from Lourd for definition. Here's how it looks like outdoors the day after. #nofilter brilliance!